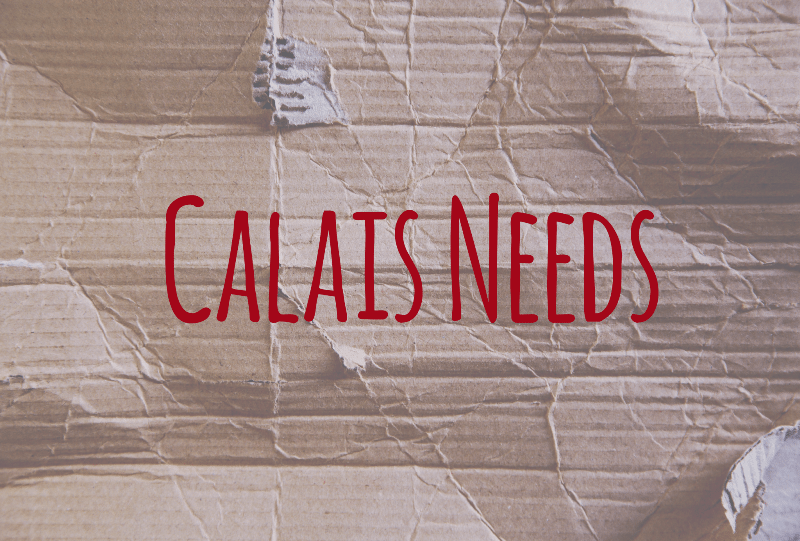 This week’s list of items needed in Calais by our amazing volunteers, updated Monday 18th April 2016. Please note that you MUST register your donation delivery HERE in order to drop off your donations! The address will be sent to you once you register. Please also be aware that no deliveries will be unloaded before 10am or after 5pm, as the team needs to prepare for distributions. If you are volunteering with us, please come from 9am, and your donations will be processed later on in the day. If possible, please aim to bring donations on a weekday as the weekends are our busiest time. However, we do appreciate that this does not fit into many people’s schedules so please do not let this put you off booking for a Saturday or Sunday! Please note that your donations MUST be sorted – if any items are damaged, soiled or inappropriate for the camp, they will create an enormous amount of waste, which delays vital aid reaching the refugees. We cannot accept deliveries that are unsorted, as our volunteers can be snowed under the mountain of unsorted donations. Please try to only bring 3 or 4 types of items in your delivery. However, we understand that this is not always possible, and we still appreciate your help. To efficiently sort your donations, please separate them into type eg blankets separate from clothing. Clothing and shoes will need to be separated (and then packed and accordingly labelled) by gender, size and type. For instance men’s M jumpers separate from the S. Women’s size 39 boots separate from women’s size 40 trainers, waterproof coats, separate from non-waterproof coats. This saves the incredibly hard-working warehouse volunteers so much time and allows us to get the donations to the refugees considerably more quickly and more efficiently. We are currently sufficiently stocked up for quite some time with women and children’s items, except for the items mentioned in the priority list. If you need more guidelines on how to sort, please email me back and I will be happy to help.